Happy New Year. I hope you’ve recovered from the weekend and are feeling back into the swing of things. 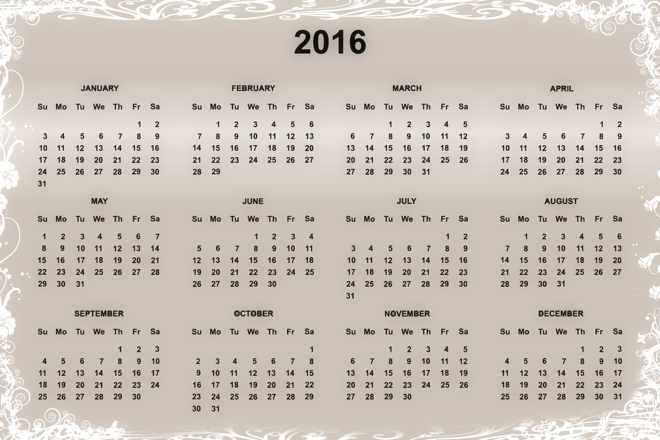 Are you ready for 2016? I know I am. I’ve been thinking about what I’d like to accomplish this year. Last week I looked back and 2015, specifically the goals I set around this time last year to review my success in completing them. Today it’s time to set goals for 2016. If you’ve read these posts in years past, you know some years I do better than others when it comes to accomplishing my goals. While I do want to complete all the goals I set, it’s not really the point for me. Thinking through what I want to accomplish for the year gives me a direction to follow. It gives me time to think about where my business is and where I want it to go and how I might get there. If you haven’t seen my previous goal setting posts or if you want to look at them again, here they are. If you want to see if I completed the goals in I set in previous years, check the list of review posts, which I added to last week’s post. I thought I would organize my goals into themes again this year, but in a different way than last year. I now have or will soon have three sites to run and I have goals for each of them. I thought the sites would make for good themes and I added a general theme at the end for those goals that don’t belong to a only one of the sites. My overarching goal the last couple of years has been to transition to a different business model. If you look over the list of goals below I think you’ll agree the transition is still in progress and involves reworking my two existing sites and launching a third. Just like last year I’m setting eight goals within four themes. Let me run through each of the sites and fill you in on what I hope to achieve and then I’ll run through the general goals. For years the business model for this site has been me selling design and development services to clients. Last year I stopped taking on new clients, though a significant part of my income did come from existing clients. I don’t expect this will be the case in 2016 and I’ll need more income from other sources. Naturally if my goal is less services and more products, then I need to create more products. Books are one obvious product. I currently have my CSS Animation book for sale at Amazon and iBooks and wherever ever books are sold and I sell my book Design Fundamentals here. I expected to have more books written heading into 2016, but unfortunately this was one goal I didn’t quite accomplish last year. I do have a book about flexbox close to being ready and I have ideas for more books after. I’ll stay modest this year and set a goal of having at least one more book for sale heading into next year. Books aren’t the only product I can create, though. I’m thinking about how I might add a membership side to this site. I’m trying to decide what would be a fair balance between free and commercial content and I’m thinking through how the whole set up would work. For the most part I know what I want to do, but I have some decisions I still need to make. I don’t expect I’ll have anything set up by the end of the year and my goal is more to make progress toward the eventual goal. Like I said, I still have some decisions I need to make and I’d like more information before making them. Some of that information will come through a content audit. I’ve been writing for this site for about 10 years and there’s a lot of content here. I removed a large number of posts when I moved hosts in the summer and there are still more than 700 left. I want to spend a month or so looking over the content on the site and compiling information about it in a spreadsheet. I want to think about the purpose the content serves on the site and whether or not it could be tweaked to contribute to different purposes. Another goal I often set, but don’t often accomplish quite the way I intended. A part of me is ready to redesign this site. It’s been a few years with the current design in place. The changing business model, changes in technology, changes in my thinking all make me think the time is right for a new design. I doubt that’s achievable given the work I’ll be doing for my two other sites. Instead my goal is to make some improvements to the existing site. There are a few specific things I want to work on, some you might recognize if you’ve been following along with my goals the last few years. I don’t need to do all of these to consider this goal a success, but these are some of the projects that need my attention. Rework the Book(s) section of this site — It needs to be plural, since I’ve written more than one book and plan to write more. I don’t care for the long sales page I have right now. It’s not me and I want to rework the page and create a template for what I hope will be more books for sale. Remove the Work section — If I’m not longer offering design and development services, it doesn’t make sense to have a section that tries to sell those services. I’ll need to rework the About section too and probably tweak a few other pages as well. Fix the Archives page — I know, I’ve been saying for years it needs to be better organized and I keep putting it off. The server move helped fix some issues and now it’s on me to fix the rest. Rework the forum — There’s a forum here for anyone who’s purchased Design Fundamentals. It’s not active at all and that’s my fault. I don’t think my plans for it were good and I need to rethink if I want to keep it and if so what it should be. Improve navigation to post series — I’ve done a pretty awful job of making it easy to get from one article in a series to the others. I’d like to change that. One of the things I’d like to learn from the content audit is which posts should have navigation to each other so I can figure out the best way to provide that navigation. That seems like a lot as I type it out, but I’ll do my best. On and off over the years, I’ve said I want to do something more with my forum. There are a couple of ads in place that pay my hosting bills, but I’ve always thought there was more potential with this site. Time has usually been what’s kept me from doing anything more with it. Over the summer I started regular talks with a couple of friends and together we’re going to build up a site around the forum using the same business model I want to put in place on this site. My partners in the business will probably be creating most of the content at first for the site, though I have some specific tasks to complete as well. The main goal is to launch the site that will become the new home for the forum. We have a domain set up and now it’s up to me to design and develop the site. It will take a significant part of the year for my to accomplish this. All three of us have other responsibilities and we aren’t going to rush to get this going. I think we’d all like the relaunch to occur this year, but none of us are expecting it to happen in the next few months. I want to move the forum from vBulletin to a WordPress/bbPress combination and then we’re going to need to test. I’d like the new platform to have as much feature parity as possible for forum members so I’ll be searching and setting up plugins. At some point I’ll need to design a theme for the site and develop it. The plan is for my partners to create most of the content we’ll need for launch, while I get the site ready. If you see my forum on WordPress at some point later in the year, you’ll know I’ve completed my part of this goal. 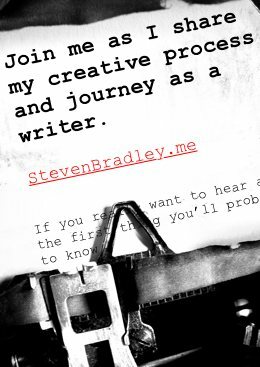 This is my new site about writing, creativity, and productivity. At least it will be once it’s launched. At the moment the site is a signup form for a newsletter I’m sending out regularly. Each newsletter contains an original piece of writing by me and I’ve been sending them out once every three weeks. My goal is to launch the site and incorporate working on it into my daily and weekly routine. Less time spent on client work will mean more time available to work on this site, though I expect I’ll need to do more than just pencil out one and pencil in the other. There are a couple of major tasks I’ll need to complete to launch this site. One is to write content for the site. Aside from the usual about and contact pages you find on most websites, I want to launch with a number of articles and essays already written. I have ideas for topics and I have notes written for some, but I don’t have any ready to be published. Another task is to finish the design and then develop the site. I have a prototype set up. I’m still working out a couple of things and I’ve hedged on making a few decisions I need to make. Once the decisions are all made and I’ve solved the issues I’m still working out, I’ll need to turn the prototype into a working WordPress theme and then fill it with the content I’ve hopefully written. If sometime during the year I post an announcement here that the new site is ready and live, you’ll know I’ve completed this goal. The goals in this theme will impact everything I do, though they don’t specifically belong to any of the three sites. They all deal with either productivity or creativity or some of each. This is my ongoing goal as I hope to become more productive every year. Last year I switched from using Things as a task management suite of apps to using OmniFocus for the same task and project management. New software means changes in the way I get things done. I switched apps in part to force myself to rethink how I was organizing projects and tasks as the specific work I do started to change. I managed to rethink things enough to get by, but I know I can and should make more improvements with the new system. I expect I was as I learn to use OmniFocus better and as I’m forced to make changes when my system bumps up against the limitations of the software. It’s possible this goal just needs time. There’s a limit on how much I can write in a given day or week and I’ve developed habits and routines to maximize my output. For most of the last 10 years the majority of my writing has been for this site. Starting this year that will change as I attempt to write regularly for sites other than this one. It’s going to take me some time to figure out how much I can realistically write and how to allocate my time to the different things I want to write. I think I know how I’m going to have to alter my routines, but altering them takes time and I expect I’ll be working all year on developing a new writing rhythm and figuring out how to create content more efficiently. Since I’m giving up income from design and development services, I need other sources of revenue. Guest writing is one way I can do that and it’s something I’ve done on and off for a few years. There really is a limit on how much I can write and it’s not based on how many available hours I have. I can only write so much in a week so more guest articles likely means less content for myself. One goal I’ve listed in the past, but never managed to accomplish is getting better creating video content, specifically screencasts. Often sites that accept guest authors prefer and will pay more for video content and I think it will ultimately prove to be more efficient for me to produce, assuming I ever figure out how to do it in the first place. My goal isn’t to only give other sites video, but rather learn to produce screencasts so I can use some here and sell some to other sites. Overall I think the mix will make me more productive and since my new business model calls for more video it allows me to spend time on one task that serves multiple purposes. Eight goals over four themes seems doable, though I really don’t expect I’ll be able to accomplish everything I mentioned. I never have and despite eight and four being the same numbers as last year, this year’s goals seem like a lot more work as I’m writing them down. My overarching goal is to continue to transition my business model and how I make money. Sounds simple enough, but it means changing many things that had become a routine part of my day. There are obvious concrete steps I need to take to complete the goals I’m setting, but I have a feeling the one that will prove most important, most time consuming, and most difficult to accomplish will be finding a new writing rhythm and creating content more efficiently. The plans I have for reworking my business hinge on being able to create more content with higher quality. That has less obvious steps and will come down to practice and repetition and some trial and error. As I do each year I’ll ask if you set goals for the year and if so have you found the practice helpful? I do find it helpful to both set goals and review them each year. It keeps me thinking about my business and it creates a guide I can follow when I’m not sure how to spend my time throughout the year. Happy New Year. May 2016 be a good year for everyone everywhere. This is really an inspirational post for me and I am truly blessed to have stumbled onto your site! In years past I’ve set goals for myself and my business but many goals are abandoned as time constraints and the need to keep my clients happy intrudes. After reading how you’re revealing your wants and needs for the new year, I am going to go back and reset some of my own goals. This time I’m going to choose no more than (3) goals I think I can actually get done. I’m glad the post could help you. I’ve been doing this a few years now and I think it helps me get more done throughout the year. I usually don’t complete everything on my list, but throughout the year I refer back to the goals I set and I do my best to complete them. Then at the end of the year I review what I accomplished during the year. I end up spending a lot of December and January thinking about what I want to accomplish and it’s really that thinking that ultimately drives me to be more productive throughout the year. Good luck with your goals and cheers and best wishes for 2016.